Copenhagen Showband is one of the small wonders of Denmark. 25 young musicians who really love to perform and entertain with hit music. A unique and compelling show that make both young and old dance and smile. Add the four talented showdancers to the mix, and you have a truly engaging experience. 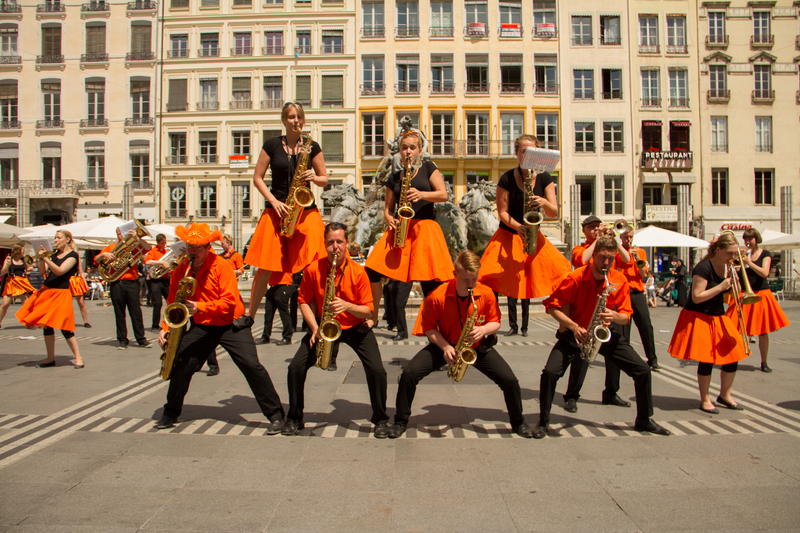 With Copenhagen Showband you don’t just listen to music – you see and feel the music! 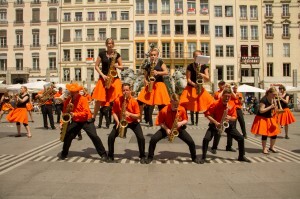 Copenhagen Showband is a very popular party band in Denmark and plays to all kinds of celebrations and festivals, from small private parties to huge international events. Among the clients the last few years are the International Olympic Committee (IOC), the European Handball Championship, the Danish Parliament and Roskilde Festival (the biggest rock festival in Northern Europe). The band can perform everywhere and can move around while playing which makes it the most flexible and versatile party band you have ever met. With only acoustic instruments in the band, there is no need for power cords or sound check.